This Postcard is from The Exhibition of Italian Art at the Royal Academy London in 1930. I was sorting through a batch of postcards all from the same exhibition and picked this out - to me it appeared almost like a Chinese Landscape: those pen and ink hills with far reaching vistas - horizontals and verticals. 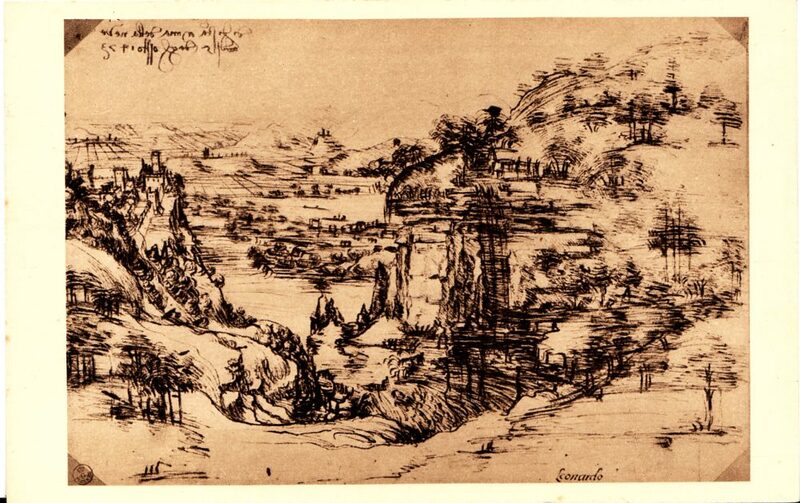 Leonardo would have been about 20 when he drew this. The writing top left says "The day of the Holy Virgin of the snows 5th August 1473"